San Rafael Public Works had a busy day last Wednesday, as the biggest storm of the year hit Marin County. Within a 12-hour period San Rafael received nearly 3” inches of rain with wind speeds reaching 55 MPH. 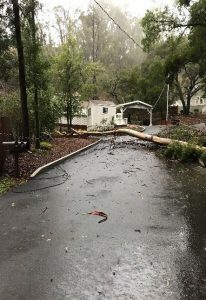 From 5:00 PM to 8:00 PM, Public Works received over 35 calls when both the winds and rain were hitting San Rafael during the peak of the storm. 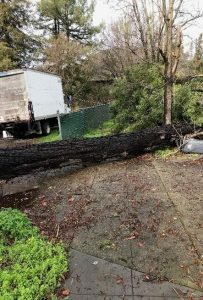 Public Works crews responded to several fallen trees, many of which hit PG&E wires and required the assistance of PG&E, Treemasters, SRPD, and SRFD. 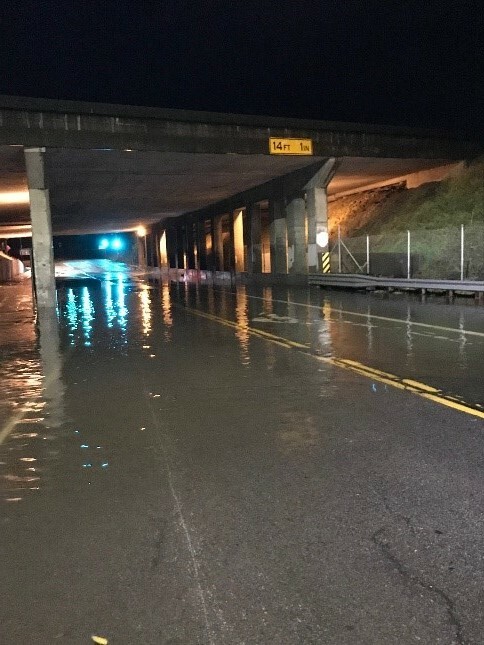 A handful of locations including, Mission Ave, Belle, Lucas Valley, and Oleander experienced severe flooding and had to be closed. The good news, no mud slides have been reported, the power has been restored and most if not all the roads were back open the following day. Both SRPD and Treemasters gave big shout outs to both Christine Foster and Earl Boisclair for providing detailed information and timely responses to PG&E, SRFD and our City emergency tree contractor during the peak of the storm.